REDDING Big boss pro pack kit is a great start fornew reloaders! The Redding Pro Pak is now offered with the highly respected Big Boss II press. This 100% American made press features a high density, tight grain structure cast iron frame produced to Redding’s specific formulation at a family-owned Pennsylvania foundry. All Big Boss II components are CNC machined and individually hand fitted in Redding's Cortland NY facility. All of which, assures decades of precise and reliable function even on big cases and tough forming jobs. The Big Boss II also features a unique spent primer removal system, which drops the primer and associated debris straight down through the center of ram and into a captive tube below the press. This keeps dirt, grime and other spurious matter away from the interface of the press frame and ram, thereby protecting the critical surfaces from unnecessary wear and tear during use. 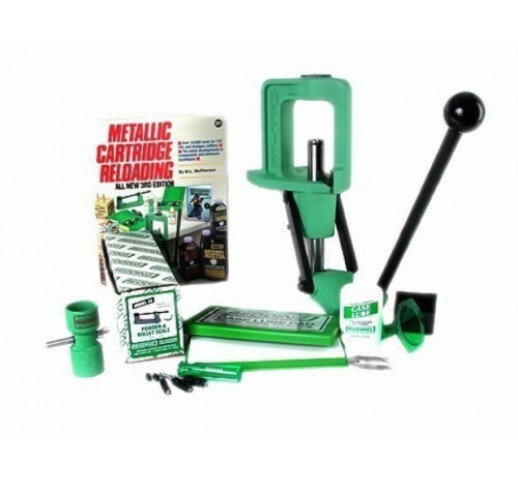 The new Big Boss II Pro Pak continues the tradition of a great start into handloading with all of the basic tools needed to build a first loading bench with durable, quality tools in one box at a price which is discounted off the individual pieces. Redding Reloading Equipment has focused on building the finest quality American Made products for the precision handloading market since 1946. Big Boss reloading press. Press has a heavier frame and a longer stroke than the Boss press and is designed for reloading magnum cartridges. Pad style case lube kit (lube pad and 2 oz of Imperial Bio Green case lube). Model 18 case preparation kit (small tools, brushes and plastic accessory handle for cleaning fired cases before resizing).